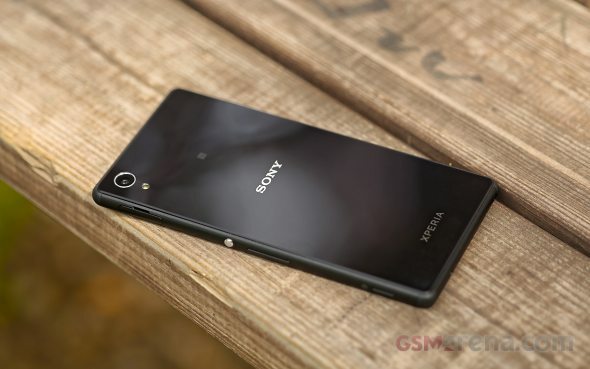 The Sony Xperia M4 Aqua is no powerhouse and its specs shout mid-range all-around. It is powered by a Qualcomm MSM8939 Snapdragon 615 SoC, which was created specifically to target the mid-range market. It consists of a total of eight Cortex A53 cores, four clocked at 1.5GHz and the other four at 1.0Ghz. This doesn't sound very impressive, but Sony has managed to optimize the OS for a fluent and pleasant experience all around. The phone is equipped with 2GB of RAM, which is more than enough for most everyday tasks and with an Adreno 405 GPU casual gaming is also a fluent and pleasant experience. This being said, the Xperia M4 Aqua has a lot of competition. With decent hardware and a price tag of around €300, it is a solid phone. But, there are a lot of alternatives which offer similar and often better performance for around the same price. We have made a mixed selection of the two for our benchmark section. Naturally, we have thrown the Xperia Z3 Compact in the mix, which seems to be quite popular among Sony fans, but seeing how it is powered by a Snapdragon 801 SoC, there shouldn't be much competition in terms of performance. First up, we have the raw CPU performance test with GeekBench 3, which should be straight-forward enough, but does show some surprising results. The Xperia M4 Aqua sits around the middle of the scoreboard, which is expected, but it is being surpassed by a few, less-than-predictable opponents. The Samsung Galaxy Alpha with its Exynos 5 Octa 5430 SoC sits at the very top, but, it is followed very closely by the Galaxy A7, which is equipped with the exact same MSM8939 Snapdragon 615 chip as the Xperia M4 Aqua. The two phones are strikingly similar in terms of hardware, so the only explanation of the major difference in performance is software optimization, which Samsung seems to have handled amazingly well. The Galaxy A7 even outperforms the Xperia Z3 Compact, which has a Snapdragon 801 inside, albeit a slightly older version. Bear in mind, that the Galaxy was tested while running of Android 4.4 KitKat. Predictable enough, the M4 Aqua surpassed the quite aging original Moto X and the LG G2, although not by a lot. And the Galaxy A5, S4 and S5 mini are all left behind, seeing how they all sport slower processors, but are, in fact, in the same price range as the Xperia M4. AnTuTu is a compound benchmark, which also takes into account RAM and GPU performance. Here we see pretty much the same arrangement. The Galaxy Alpha and Z3 Compact both have a major lead and the M4 Aqua and its hardware doppelganger - the Galaxy A7 are neck to neck, but now, with a slight edge for the Xperia. So, the Sony seems to beat most of its competition in terms of overall performance, which is great news, seeing how CPU power alone doesn't really help you do your work more-efficiently. Basemark OS II is another all-round benchmark. It gives an overall score along with single, multi-core performance, math performance and more. We focus on the overall score and the dedicated CPU scores. 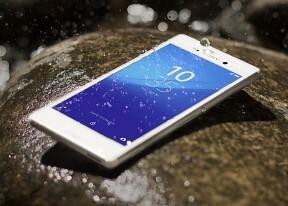 The Xperia M4 Aqua once again performs admirably well. It seems to lack behind in single-core performance, but it makes up with great optimization in multi-core. After factoring in a lot of other performance factors, Basemark OS ranks the phone well above its direct hardware rivals, which is great news. Moving on to pure graphics tests, the Xperia M4 Aqua does fairly well. Its Adreno 405 GPU isn't really all that powerful, but the phone's 720 x 1280 screen resolution allow for some decent framerates onscreen. Offscreen, however, it's a whole different story. The M4 Aqua struggles quite badly with the test and comes in near the bottom of the chart. The Xperia M4 Aqua didn't really shine in the browser test either. Still, it did alright. Chrome is pulling its own weight. The Kraken score wasn't all that great, but BrowserMark is perfectly fine for a mid-range device. Overall, the Sony Xperia M4 Aqua works quite well. The Snapdragon 615 scores some 70% better than the omnipresent Snapdragon 410 chipset so the Xperia M4 Aqua has that going for it. Best of all, the phone performs quite in line with what other smartphones with Snapdragon 615 offer. The hardware inside the M4 Aqua is quite capable, not to mention futureproof, so there is really no reason for the device to punch below its category. We are quick to point the finger at Sony, which is all but justified, but Android 5.0 hasn't really been playing well with a lot of devices recently. Bugs are still present across quite a few devices from various manufacturer, so there is still a lot of room for improvement on Google's latest mobile OS.